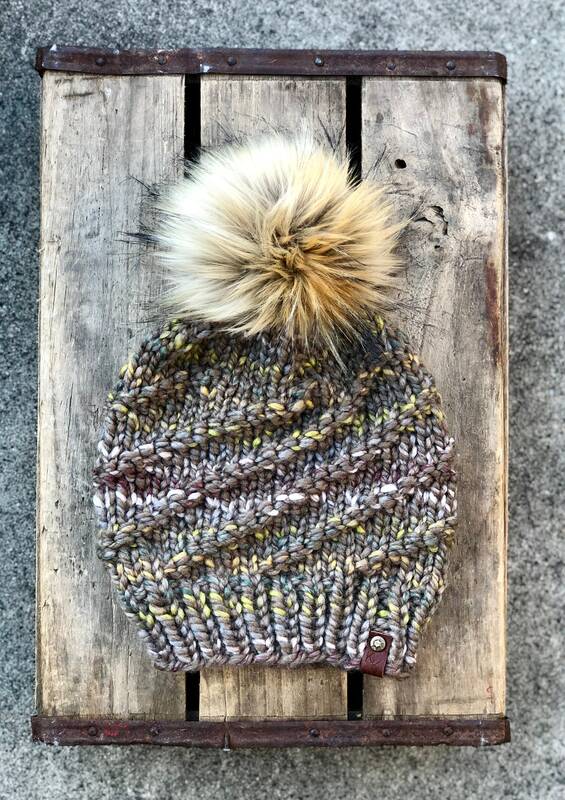 This is a super soft, fitted hand knit beanie made out of Lion Brand Super Bulky yarn in Urban Camo with a 6" Jackal faux fur pom pom that is detachable. This yarn is 80% Acrylic/20% Wool that make it super bulky and warm. The hat can be washed, I recommend hand wash. lay flat to dry. The pom is not washable and is attached with a button that makes it super secure but also very easy to remove. Just as described, nicely made and arrived quickly.